I forgot to post it before the holidays, but this quilt was my last finish of 2014. 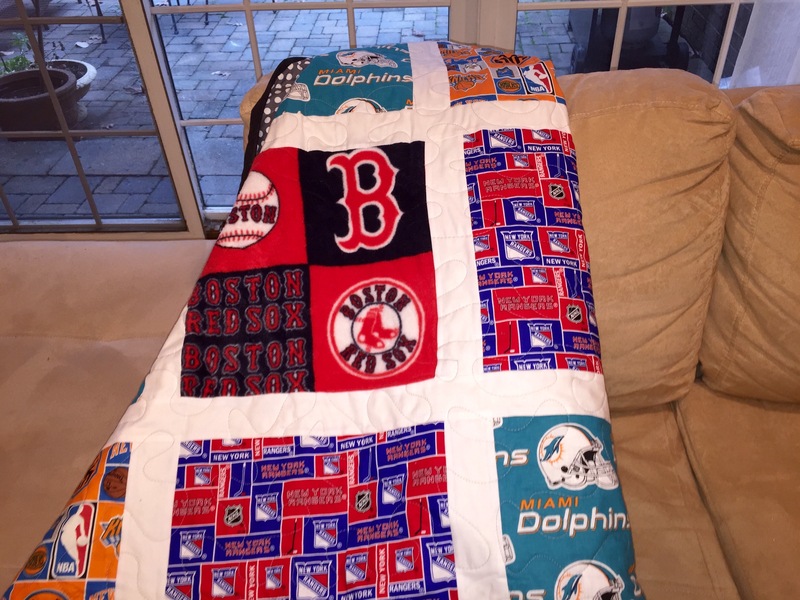 This was a custom order for a client who wanted A sports – seemed quilt for her son for Christmas. Normally that wouldn’t be a challenge, but in this case, it was a little tough due to the teams her son favors. 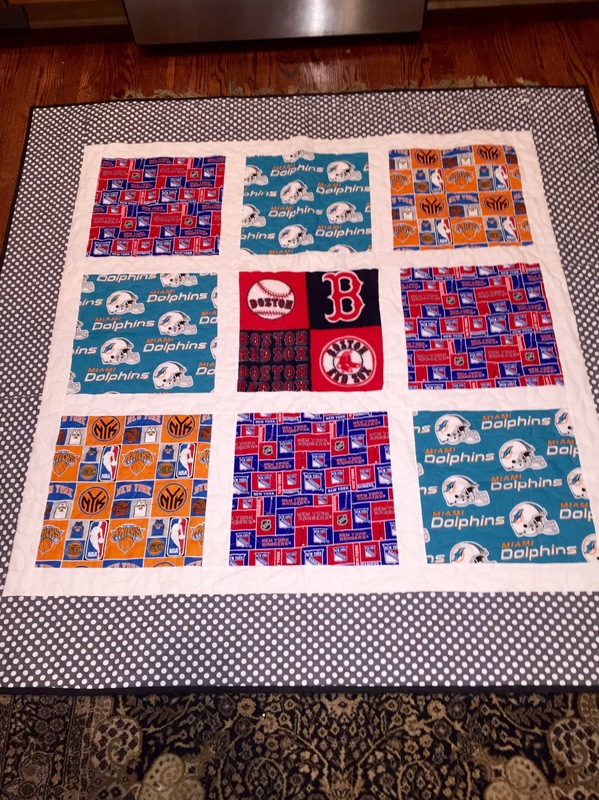 The challenge was to make a life-sized throw featuring the Boston Red Sox. the Miami Dolphins, the New York Knicks and the New York Rangers. Two problems there – first, the Boston Red Sox only allow fleece licensed fabric, not Cotton. Second, the colors of these teams were so desperate that it was tough to find a way to tie them all together in a cohesive manner. I addressed this by using large squares set in a 3 x 3 pattern with a simple solid white sashing. The Red Sox fabric became the center block, trying to provide a little logic for having that fabric be different. And then I tied it all together with a neutral gray and white polkadot border. Fortunately my client loved it, and hopefully her son did too.